“Medora”: A Team, A School, A Community | Where's My Eraser? 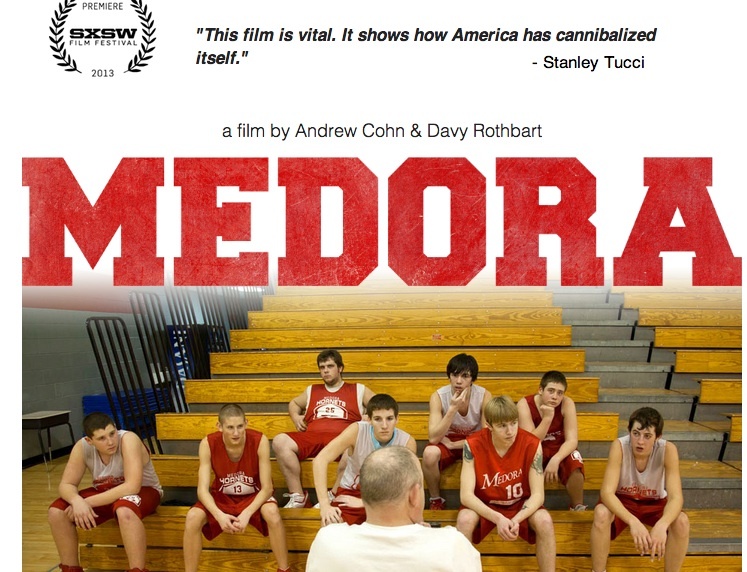 “Medora” isn’t just a sports documentary. It’s about a school and its vital place in a community doing whatever it can to survive the fallout of a decimated local economy. As in so many rural areas, the school is innately tied to the town’s identity. “This town will die when that school leaves,” one local observes. With a swelling budget deficit, the school must consider consolidation, following the lead of all the other districts in the area. The students and the team are caught in the middle of these politics. They have as many personal problems as the school and town do. I have to wonder if the responsibility for lifting the town up is a burden on the shoulders of these players or if that responsibility makes them stronger. Or maybe it’s both. This film is difficult to watch at times, but it’s a wonderful reminder that small triumphs matter. Anybody who loves sports and loves schools should take the time to watch it. You can find a link to the entire film below. This entry was posted in Education Policy, Secondary Education and tagged edchat, Education, highschool, physed, ruraled on April 3, 2014 by Chris Thelen.